The thing that makes Stone Real Estate Services stand apart from the competition is their exceptional customer service. Almost 25 years ago Dave Stone quickly learned after working with many “Big Box” real estate firms that their way of doing business was not always focused on the actual customer, rather quick sales and the meeting of monthly quotas seemed to be the call of the day. When considering the personal lives of the customers and the shear magnitude of the dollars in play, a real estate business model more concerned with economies of scale is and was simply unacceptable. 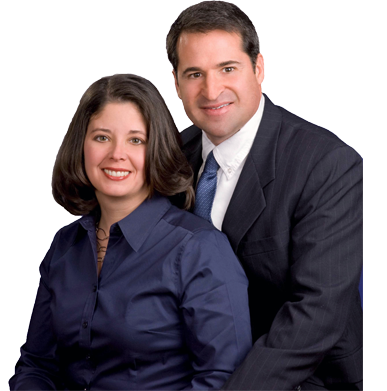 To that end, over the past 23 years Kim and Dave Stone have developed a full service real estate firm serving the Williamsburg, Yorktown, Newport News, Hampton, Norfolk and Virginia Beach areas of the Commonwealth of Virginia with a total dedication to customer service. Customer service is a right not a privilege!! Stone Real Estate Services will continue to incorporate the latest cutting edge technology. Their memberships with the: Williamsburg Area Association of Realtors, Virginia Association of Realtors, National Association of Realtors, and The Real Estate Information Network puts over 1,010,000 fellow realtors nationwide, along with over 6000 local Tidewater Realtors to work on selling your home. The Stone Team’s marketing dollars are well spent on the sale of their clients homes, not on an over promotion of the company name. Choosing the right realtor does make a difference. Kim and Dave Stone’s focused attention to their home buyers needs, coupled with a strong network of home lenders, inspectors, appraisers, and settlement companies will result in a smooth transaction. The Stone’s provide a level of care and attention to each of their customers to which the “Big Box” companies can not begin to compete. It should also be noted that Stone Real Estate Services have absolutely no business relationship i.e. finder fees, referral fees etc. with any of their network of lenders, inspectors, appraisers and settlement companies. The Stone Team will always maintain a tradition of sound advice. If you are looking for knowledgeable, approachable, service oriented Williamsburg Realtors please give Kim or Dave Stone a call today! !